Over the last number of years, our Kindergarten groups have been the Little Buddy classes to the Grade Seven students. We love working with our Big Buddies. There is a true bond that develops between each Kindergarten and Grade 7 student(s). There are more Grade 7 students than Kindergarten children per class, so some Kindergarteners have two buddies. The benefits are mutual for Big and Little Buddies. Kindergarten children have a close connection to senior students who act as positive role models. The Grade Seven students are the lunch and recess monitors, so it’s exciting to have two or three of them in our classroom everyday helping us with our snacks and giving out the Hot Lunch. The older students also help the Kindergarten on the playground to facilitate play, problem-solve conflicts, or take them to the office for a bandaid. The Big Buddies learn patience and empathy when working with young students. They begin to develop an understanding of the power of influence and setting a good example for our school population. We see our Buddies about once a week. During our Buddy time together we might work on seasonal crafts, listen to stories, or just play together on the playground. Sometimes there are special events, like the Terry Fox Run, where our Buddies participate with us and teach us how things are done at Ridgeview. Or we may get together to work on a special project, which is exactly what we’re doing right now. For the past three weeks we have been working on a fun digital literacy project with our Big Buddies. 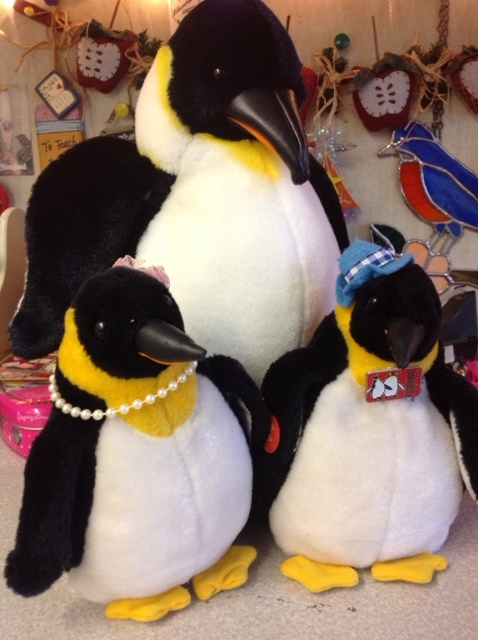 We are learning about penguins as part of our Polar Animals study. 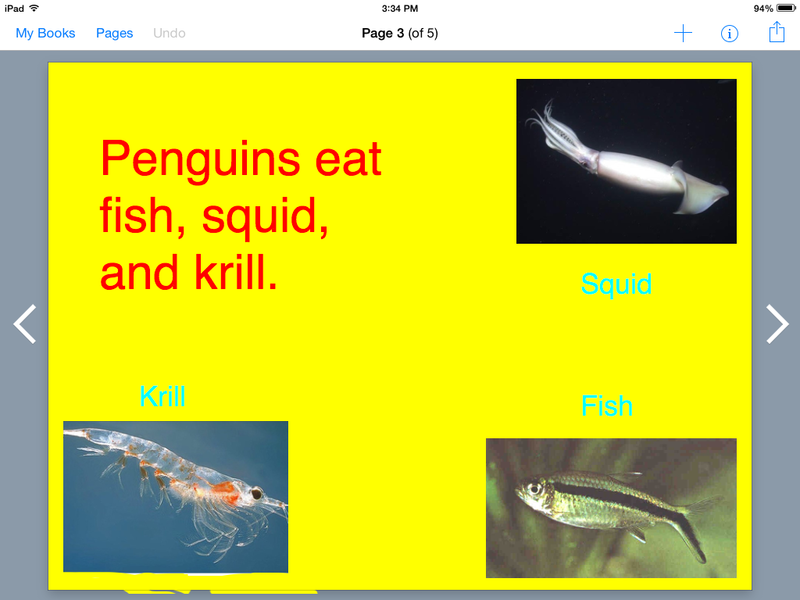 Each Grade 7 and Kindergarten Buddy group is creating a digital book on an iPad using the app “Book Creator.” We are researching each of these areas with our Buddies: Penguin Habitat, Penguin Appearance, Penguin Babies, Penguin Diet and the Penguin Life Cycle. We’ll create a “page” for each topic with pictures and write a short, descriptive sentence. We look forward to sharing our digital projects with you during your child’s Student-Led Conferences on Tuesday, March 3 or Thursday, March 5. This will be the second informal reporting period for our students. There will be more information about Student-Led Conferences to follow on a future post. In talking with the children about this project, we learned that many of them have access to an iPad, home computer or other device. We’ve also noticed the increasing competence and confidence by which children navigate their way through technology. We are well aware of the concerns regarding the excessive use of “screen time” for young children. Indeed, our aim is to use technology as a tool in a creative and purposeful manner with our students. Joshua Becker recently posted 9 Important Strategies for Raising Children in a World of Technology on his blog, becomingminimalist.com. He provides a thoughtful perspective on our role as parents and how we can support our children who are growing up in a technological world far different than our own. This entry was posted in Classroom Chatter by thekinderteam. Bookmark the permalink.